You must make reservations at least 5 minutes in advance of the time at Cafe Diablo. Easy access gravel lot. Motorcycles should park in the smaller west lot. Weddings, Corporate Retreats, Movie Sets, Birthday Parties, Roundups, Open Houses, Barn Dances... Cafe Diablo caters everything from picnic baskets to parties of 250 or more. We love food, and we’ll bring our passion and enthusiasm to your gala to make your event amazing. Come by or call and tell us about your event and give us your ideas. We'll listen and show you what is possible. If you can dream it, we can make it happen. Our goal is to make your special day distinctive, festive and stress free! 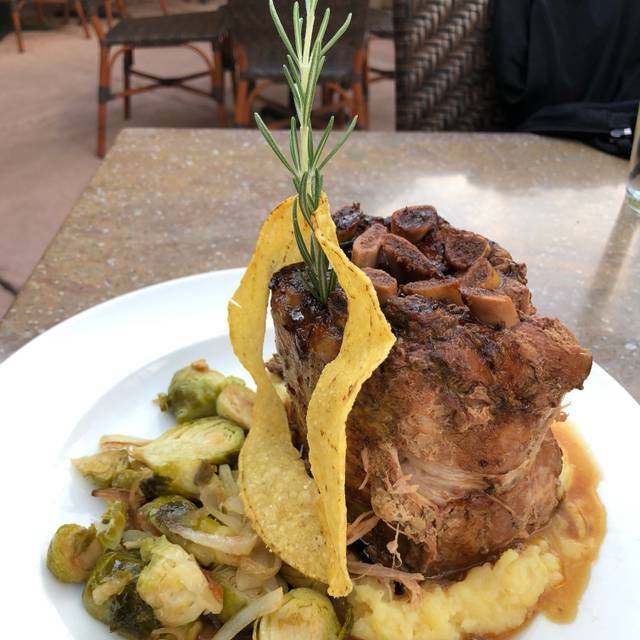 Nestled below the Boulder and Thousand Lake Mountains in Southern Utah, Cafe Diablo offers a fresh dining experience that celebrates the outdoors and the red rock wonders that surround us. Dine outdoors on our patio or indoors in our local art gallery and enjoy a seasonally inspired menu with a casually sophisticated ambiance. The human tongue has roughly 10,000 taste buds. Our aim is to excite all of them! 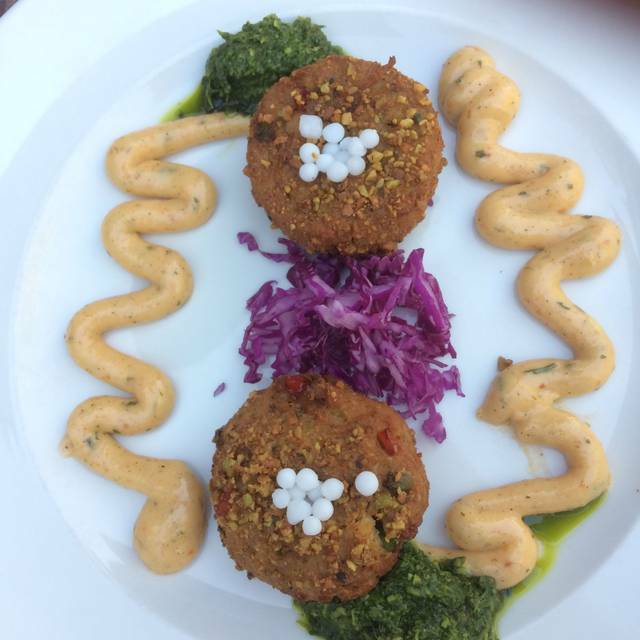 By showcasing local flavors and ingredients, we create dishes that please the palate and the eye. And after the main meal, may we suggest you save room for dessert. We make all of our pastries and ice cream on the premises daily, and they are simply scrumptious. A blending of tastes that delight, energize and yet comfort the palate. A plate that pleases the eye and makes you want to take a picture before you dive in. Surprising innovative menu in "back of beyond" Torrey, Utah. And a decent little wine list. Cheerful service. We'll be back! Very friendly service. Our food was beautiful and delicious. A gem in the dessert. Recommended by our hotel. Food was good. Excellent wine list. Lamb shank was really nice. Southern west chicken was really good too. Didn’t like the fact that they automatically included 18% gratuity, on a table for 2. Marked down for that. I’m happy to tip but that should be left for me to decide. 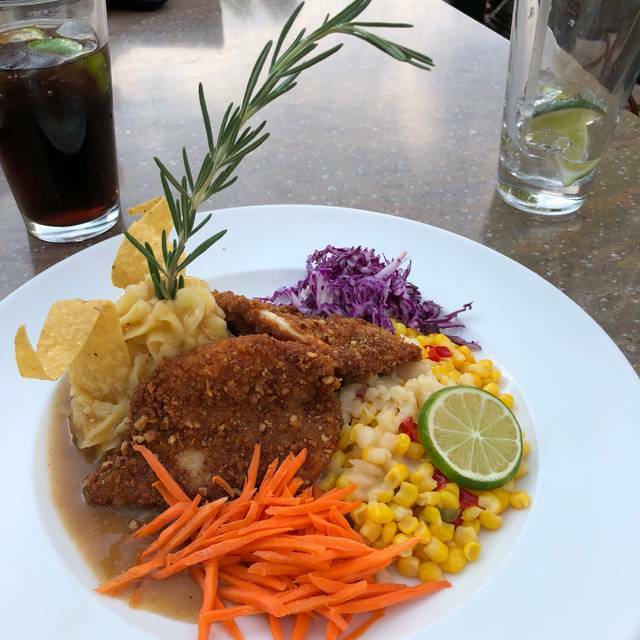 We came last year and were pleasantly surprised by the high quality and creativeness of the Southwestern dinner menu. So my wife and I returned and were again extremely pleased with the tasty items we ordered (San Saba Chicken and Lobster Mac and Cheese, both excellent) as well as the extensive wine by the glass or bottle list. Our server was attentive, friendly and helpful. We also love the original paintings of the fruits and vegetables scattered throughout. The Cafe Diablo is quite a find for such a small and remote town as Torrey, Utah. We will be back again next year. Cafe Diablo is much better than I ever expected to find in a small city such as Torrey. The menu is unique starting with the rattlesnake cakes and ending with dessert that changes so often that they don’t print a dessert menu. The ribs are some of the best that I have ever tasted and their presentation is fabulous. If presentation were everything,I would need a few more stars.Incredibly inventive—and it tastes really good,too! Unexpectedly cool little place with awesome food. The entrees were good but the desserts were absolutely exceptional. Save room! We had read good reviews and decided to give it a try. We were not disappointed. The menu offered great variety making it a bit hard to decide what to order. I finally decided on the lamb shank and was totally satisfied. My wife tried the chicken breast and was equally pleased. The service was perfect. The presentation of our dinners was beautiful. We will return! Went here on recommendation from a friend. Food was very creative e and delicious. Hard to imagine this great of a restaurant in such a small town. Well worth the price. Excellent as always. We make a point of coming here when ever we are in town. We even waited to celebrate our anniversary so we could have a special dinner here. Love the rattlesnake cakes! We were in Torrey for two days, and we had both dinners at Café Diablo. Unusually good Southwest cuisine. We would have liked more desert selections and more flexibility about customizing menu selections. (For example, we asked if the salmon could be made a little less hot spicy, and were told it could not.) The parking lot could use some lighting; it is totally dark at night. 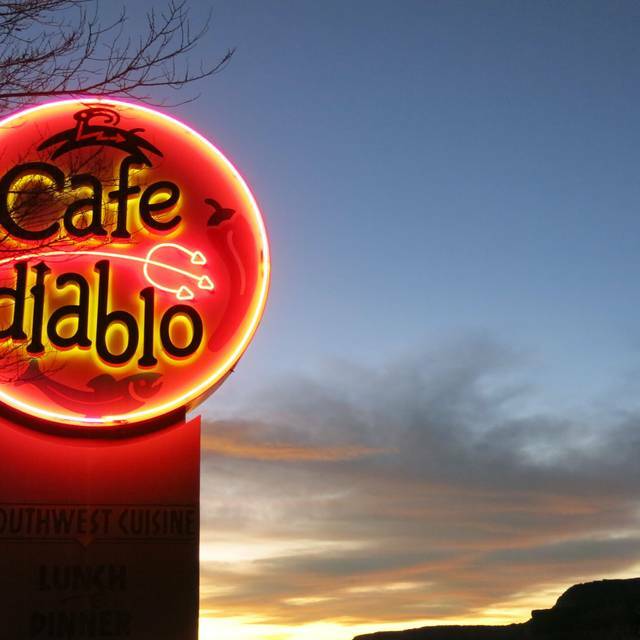 While visiting all the Utah parks we read that Cafe Diablo was one of the top 10 restaurants in Utah so we had to give it a try. It is tucked off the road in the very small town of Torrey Utah, close to Capital Reef NP. What a great find!! We made reservations and were glad we did because the restaurant filled up. There were 4 in our party and each dish we had was excellent. Tried the rattlesnake cakes and empanadas for appetizers with the prickly pear margarita. So, so good! Our waitress Margie was attentive, friendly and had great suggestions. The lamb shank was cooked to perfection! Other dishes were the trout, pumpkin ravioli and chicken...all delicious. 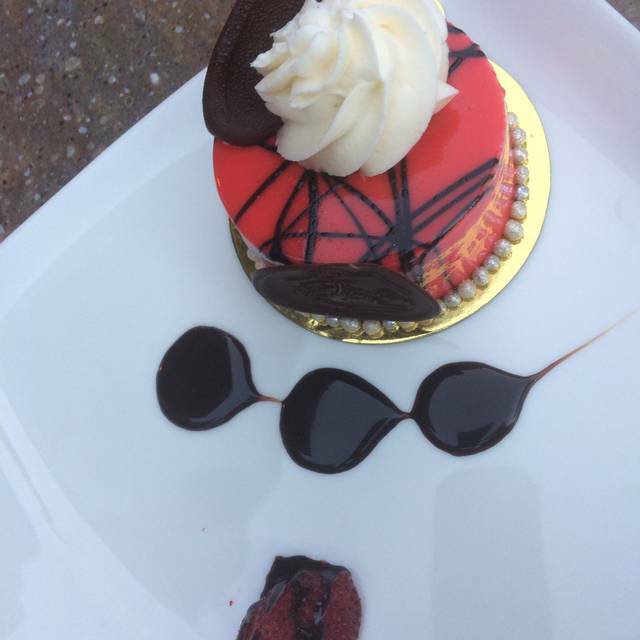 We topped off the dinner by sharing the chocolate raspberry cheesecake. We enjoyed our meal and especially the service that we received from our male server. Beer was pretty doggone expensive but I understand they’re getting their license soon. Overall we enjoyed the experience. Café Diablo is a wonderful place to got o in Torrey. The food service and atmosphere all combine to make your dining experience an enjoyable one. I recommend the Pumpkin Ravioli as well as the San Saba Chicken. I cannot forget to mention the Rocky Mountain Elk Sirloin which was superb. The wine list here is an interesting one, but one where you will find what you desire. If you miss dining here, you will be missing a good dining opportunity. We chose this restaurant based on TripAdviser reviews. My husband loved the green chile and lobster mac and cheese, I had the salad with strawberries and nuts. I was able to get a larger salad to share and added a chicken breast. Everything was delicious! Great food- presented very well- a real treat! Flavours of the Southwest indeed! 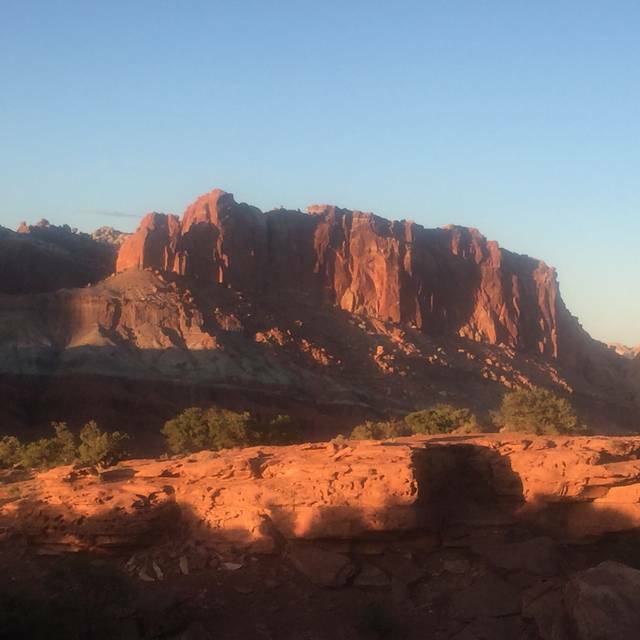 Came here for a birthday dinner while visiting the Capitol Reef NP/Torrey area. We were very pleased with our meal and had a watermelon feta salad to share. The salad was excellent, perfectly done. He had lobster Mac and Cheese, and loved it. I had the lamb shank and it was wonderful. We had enough of the lamb shank meal to bring home for another meal. Great sides with the lamb shank. Inventive, southwestern emphasis. Only complaint: no decent non alcoholic beverages. Apparently all of their cocktails come pre mixed. One more comment: focaccia served as complimentary was good, would have been better served warm, in our opinion. Service was good, not too prompt. Attentive, but not invasive. Not super knowledgeable of the menu, but we knew what we wanted, so it was no problem. This is the best place in town from what we heard. We would definitely come back. My second time at this restaurant - still good! Good value on the appetizers, and large enough to share. We were recommended this restaurant through someone we met at the hotel. She said it was probably the best and a bit more upmarket than anything else in Torrey. Pleased to say she was right. We reserved online and were received straight away. A very smart young man served us and the food was good. We shared the starter of crab and shrimp, I'm glad we did -a big portion. 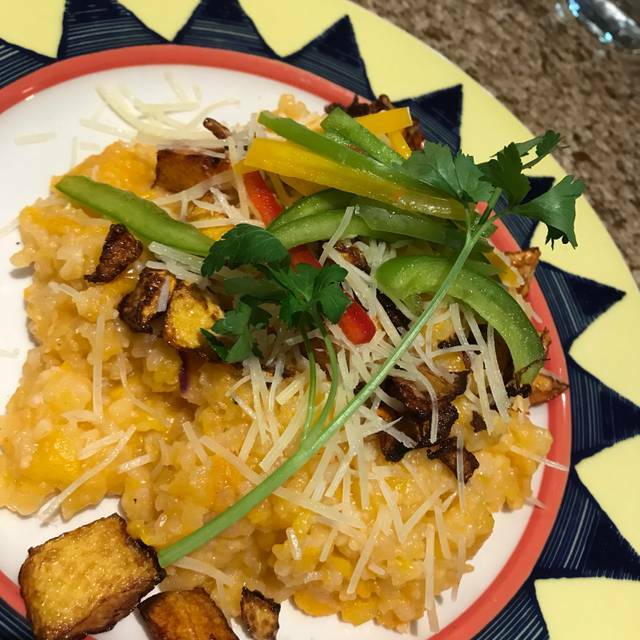 I had pecan encrusted breast of chicken and my wife had pumpkin risotto which she couldn't finish so we took it back to our hotel and had it the next morning! Our salad and appetizer were unique and very good, but the trout entre was a little dry and almost bland. Food was very good. Outside area was very primitive. We had a long wait after ordering our food before we were served. During that time, our server never stopped by to let us know that they were running late, or if we wanted anything else. This is the best place for a "local" experience in Torrey, UT. That said, keep in mind the population there is 241, so keep your expectation level as such. The food was wonderful and overall experience very enjoyable. I would definitely have dinner there again on my next trip through the Capitol Reef and recommend to my friends. Beautiful spot. Nice folks. Decent wine selection. Bland food. I couldn't believe how amazingly delicious absolutely everything was!!!! A quiet little town with one of the best restaurants I have ever eaten in!!! We were a group of 4. M# of the meals were over the moon good. The ribs were not as good as expected. The deserts were among the best we have ever had. Great food and service. Beautiful view from patio. We had read the reviews and asked the desk clerk at Austin's Chuckwagon where we stayed for a recommendation for dinner. We were sorely disappointed with the farm-raised elk sirloin, the most expensive item on the menu. It appeared to have been mechanically tenderized and unfortunately tasted like no other elk we've eaten (and have eaten quite a bit). The cherry sauce with crumbled blue cheese was a lovely accompaniment, however we told the waitress of a nut allergy and it arrived with pine nuts that we scraped off rather than wait for one of two re-cooked entrees since we were carrying two Epi-pens. The accompanying asparagus substitution and the hash brown potatoes were quite delicious. All in all, an overall poor value, although the Torrey area Capitol Reef National Park visitors are a somewhat captive audience. It may be the best in town, but readers want to compare to national and international, and not Torrey standards when selecting a restaurant. Two people seated near us commented that the lobster macaroni and cheese (our second choice) was light on the lobster and hot peppers, and heavy on the pasta. We could only recommend this restaurant if you are in Torrey and nowhere else. Service was extremely slow due to lack of staffing. We waited over 20 minutes to be acknowledged. 8 yezr ago, it was fantastic. Now, even late (9), nobody, and yes, the food was very good, but too classical. It was a deception. We chose this restaurant as the grand finale for our trip to Utah and we were glad we did. We enjoyed our lovely seating in the garden. 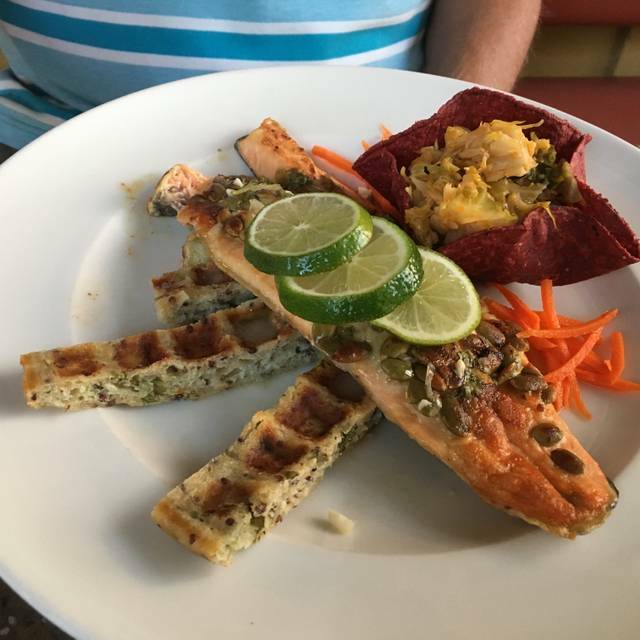 As the other reviews have mentioned, the food was innovative and delicious. We decided to go all in and ordered 6 dishes for the two of us, so we could eat leftovers on our long drive the next day. We were glad we did! So many yummy choices and the food was almost as good (even cold) the next day. 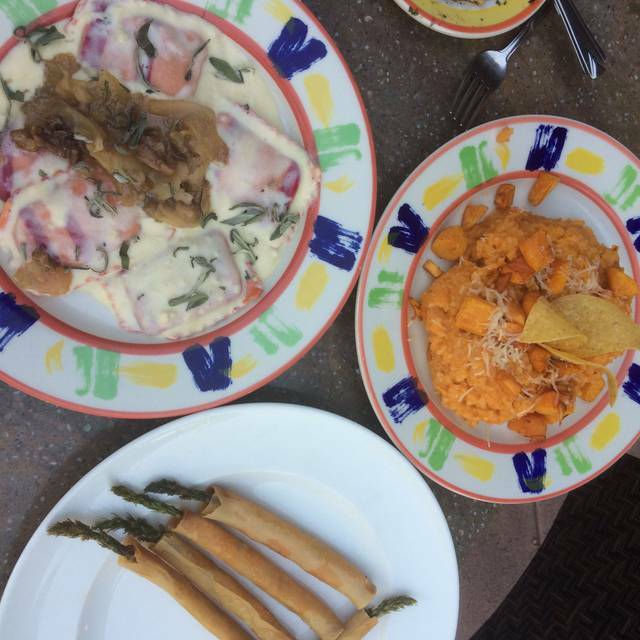 The empanadas, Mexican Raviolis, butternut squash risotto, firecracker asparagus—we loved it all. Our prickly pear chocolate cake was a work of art in addition to a feast for our taste buds. Our wait staff was wonderful and made the whole experience even more special. The restaurant has high ratings and we were not disappointed. For cocktails, we enjoyed the Prickly Pear Mezcal Margarita and the Bloody Margarita, both rimmed with black salt. The Prickly Pear was very sweeter - a bit too sweet for my liking. We recommend the rattlesnake cakes with ancho-rosemary aioli. They were nicely seasoned and tasted great. The empanadas appetizer was good too; the best part of this dish was the black bean sauce with desert onions. The entrees we tried at our table - San Saba Pecan Chicken, Pumpkin Seed Trout, and Pomegranate & Chipotle Glazed Ribs - were all very good. The ribs portion was generous - too big to finish. I ordered the Watermelon, Feta, and Arugula salad. The arugula was excellent however some of the watermelon was over ripe and a little off-taste. The restaurant has very simple, no frills decor and pleasant, efficient service. Amazing food! Super chef brought in from NY and very inventive and inspired. Food was excellent and nicely presented. Service was good. A hidden gem. Would definately dine here again.